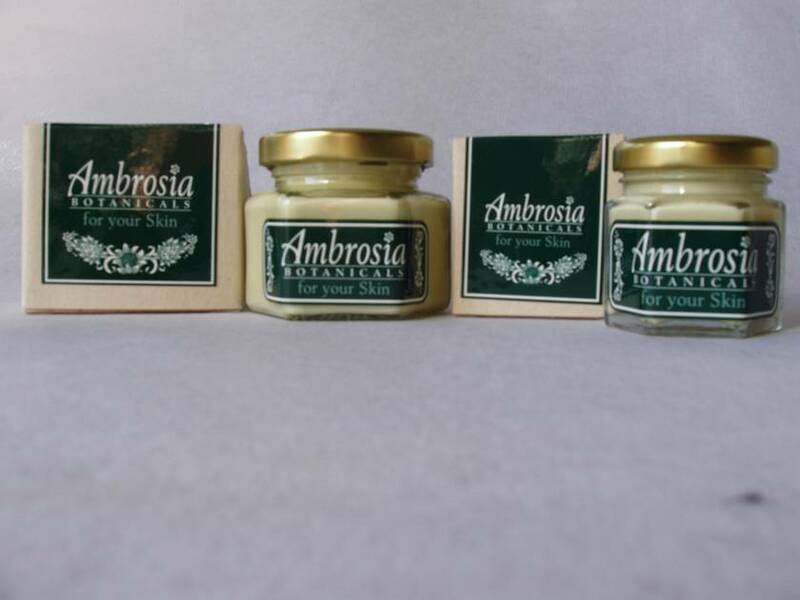 Ambrosia Botanicals For Your Skin is a great night cream, and a fabulous all over moisturiser. A little goes a long way, making it very economical. This lovely product feeds your skin, because Lanolin is the closest naturally occurring substance to sebum, the oil we already have in our skin. Olive oil has been used for 3000 years in skincare preparations. The Essential Oils of Sandalwood, Geranium & Lavender are here for their restorative and balancing properties.